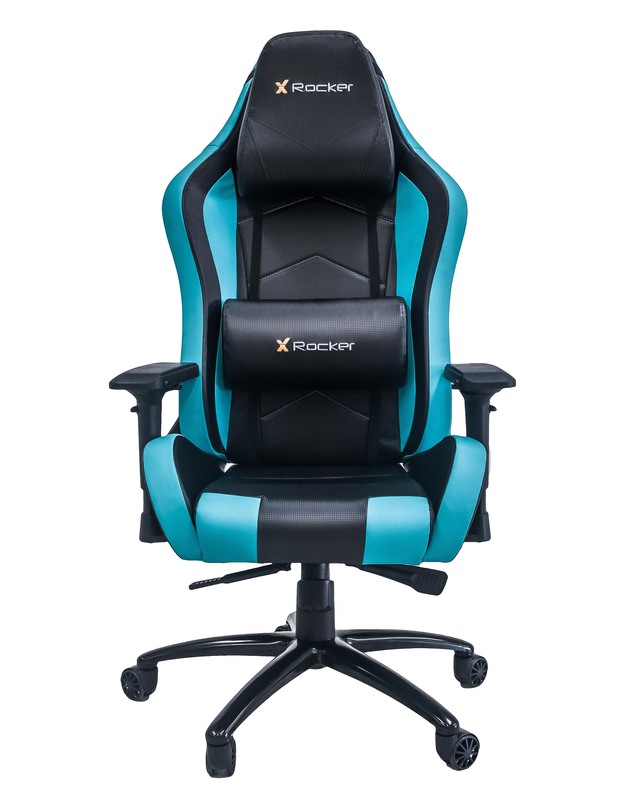 The X Rocker Marine is a spacious and stylish racing inspired gaming chair with 4D armrests, neck and Lumbar support for customisable comfort. The X Rocker Marine is a stylish racing inspired gaming chair. Incorporating an attractive carbon fiber faux leather material with sky blue highlights and thick sturdy construction. The Marine also features 4D armrests that provide customisable comfort, a strong class 4 height adjustable gas lift, tiltable backrest, neck and lumbar support cushions for superior comfort during those long gameplay sessions.